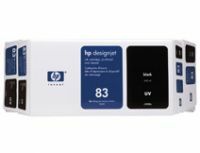 C5002A The HP 83 UV Value Packs contain an 83 UV Ink Cartridge and an 83 UV Printhead and Printhead Cleaner that make up a modular ink system that delivers fast, UV-resistant printing automatically. 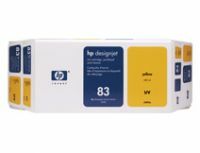 The value pack bundle offers these system components at a price that is lower than purchasing them separately. 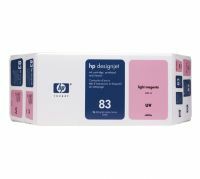 HP 83 Ink Supplies are HP engineered and tested to work precisely with HP Designjet 5000 series printers and compatible HP printing material to deliver the professional results you expect. 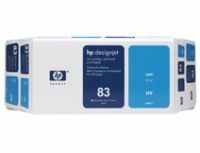 To Recieve updates and possible rewards for Hewlett Packard (HP) HP 83 Value Pack 680-ml Magenta UV Ink Cartridge and Printhead please sign in. To Recieve updates and possible rewards for Printer Cartridge, Ink & Toner please sign in.